Lady Gaga’s new fashion obsession is the designs of the late Gianni Versace. For the past two months her wardrobe has heavily featured vintage selections from the Versace archive. She’s worn it in her “Edge of Glory” video and at most of her public events. 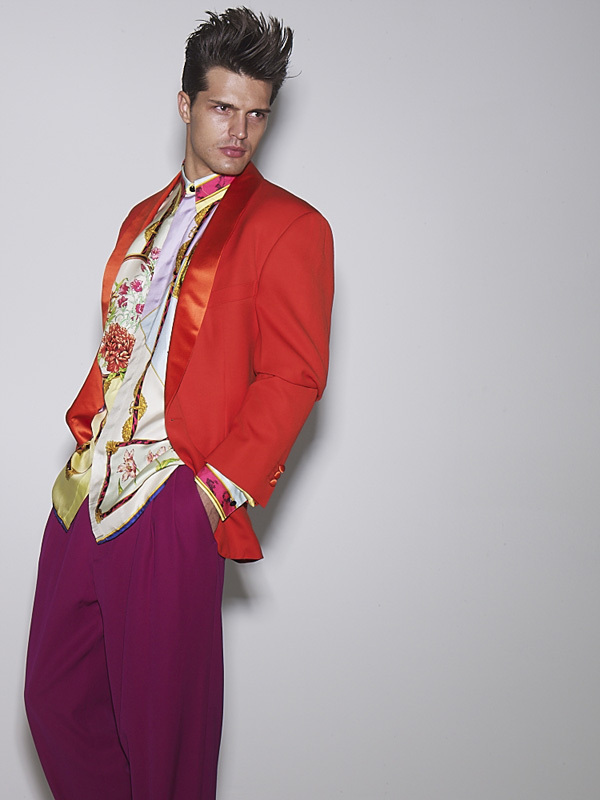 Screaming Mimi’s is currently offering a special selection of men’s clothing by the late designer Gianni Versace. Over 50 items from the late 80’s to the late 90’s from Gianni’s most creative and successful period of designs. The collection includes such iconic pieces as the baroque print silk shirts, studded leather, “Miami – South Beach ” prints, bold colors and more. The pieces represent the late Versace’s love of pushing boundaries and original creative designs that featured men’s sexuality.